Recently I cancelled my account with Neverfail*. They, ironically, regularly failed to deliver my water. And I’m cool with tap water again anyway. After speaking to customer service, they transferred me to a ‘specialist’ to discuss cancelling the account. What came next was predictable for anyone in contact centres. I’d been too far burned by several attempts to organise deliveries with little bother from Neverfail to fix the issue. And I left and I’ll never go back. But it did get me thinking about retention or lack thereof. Neverfail utilised a very common tactic used by businesses across the industry spectrum – especially financial services, telecommunications and energy. Customer calls and say they want to close their account – Presto! Transferred to a magic genie who can offer you a discount to stay. It’s called retention, but after several years of managing such an operation, I now call BS. Look how awesome we are, we’ve nailed this customer retention issue! But here’s the problem, businesses that do this are setting up a fake economy. It’s not retention. Those customers are no longer customers of your business. They have no loyalty to your brand. Theyre not advocates. They just screwed you for a good deal. When they talk about you at their next barbecue, they’re not talking about how good you are. They’re talking about how malleable you are. In NPS language, you just brought yourself a new kind of detractor. And these detractors are now customers of the shadowy underbelly of your business. These “customers” – if you can barely call them that anymore – are getting a free ride from you. And this strategy gets dangerous when we build false metrics around retention performance. It’s in the interest of retention leaders to apply black and white rules to trigger conversions and retained terms. But when a customer tells you they’re leaving, it’s now a distinctly grey situation. We can never know the customer’s intent at this point. Firstly, customers are increasingly wise and will game the system. You dont even know if they ever intended to leave. Secondly, you’re now living on borrowed time because the customer has signalled they’re not willing to do business on your terms, and they’ll go at any moment. And when you incentivise staff to make “retentions”, it’s in their interest to deem every customer a flight risk, shove a discount down their throat and call it a retention. And so measuring the success of retention is a dark art built on assumptions. But this dark art can show promising results. Look how many triggers we (think) we converted! Look at the value of these (now detracting) customers! Look how long they (might) stay (or might have anyway). 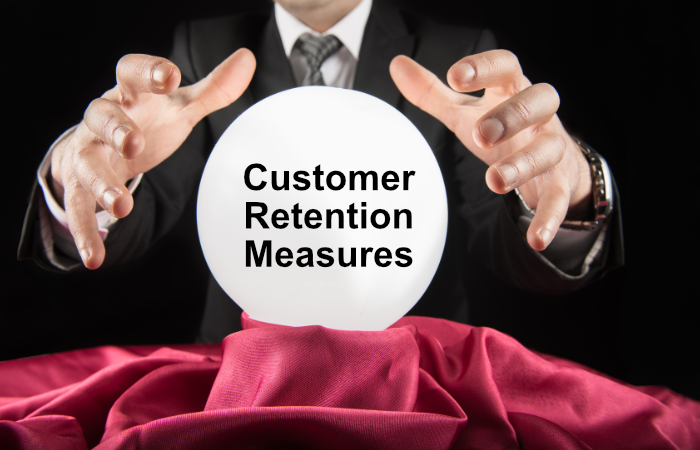 Every retention is weighed on the full value of the customer. Executives get addicted to these figures because it shows that at least someone is doing something. They’ll counter that they’re still breaking even and making a – now lesser – profit from these shadow customers. But if that’s the business strategy, build your business on a low-cost model in the first place. Qantas had the foresight to set up Jetstar for example. 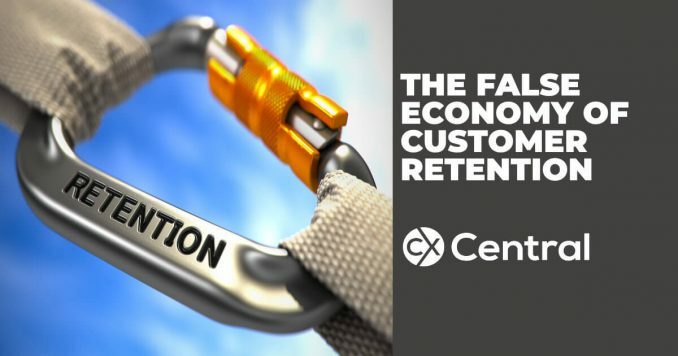 We need to bake customer retention into our business models. Not tack it on at the end. We’ll hurt in the short term, but in the long term, we’ll be forced to innovate, forced to provide value to our customers and compete in the market on the virtue of our products and service, not desperate handouts. All the resources we allocate to retention teams could be utilised for achieving excellence in our business. Optimise your VOC (Voice of the Customer) program so that you can co-create products with your customers and understand root causes for dissatisfaction. Build an impeccable complaints handling process so that you deal with issues before they escalate and differentiate your customer service so that it becomes a part of your value proposition. 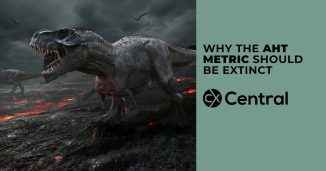 The predictive analytics we use for retention today could be analysed instead to help us create meaningful loyalty programs that create outrageously passionate customers (preferably without cards or apps, but that’s a topic for another day). In business, relationships are paramount. Imagine if you were in a relationship in your personal life with someone and they told you they want to end it. But then you convinced them to stay by giving them a gift. It would never be the same again. As BB King sang, the thrill is gone. So, let’s find the competitive edge that makes customers feel truly loyal. You can build a wildly successful business that way. If you must plug up the back end by cheapening your product, ask yourself why. *Disclaimer – Just because I had a bad experience with Neverfail, doesn’t mean anyone else does. I have no idea if I was just a fluke case. It happens sometimes! 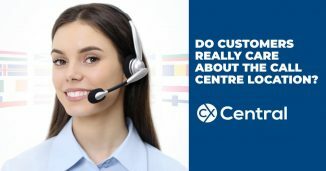 Do Customers Really Care About the Call Centre Location? 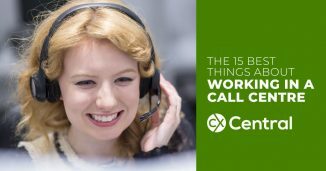 Does a call centre location really matter for customers or for businesses? We look into the key success factors using offshore call centres. If your retention strategy is just to discount what your outlined above is likely true. Thats why most retention managers dont use this model for retention and instead favor an approach that binds the client to the organisation over the longer term. A lot of what we call loyalty is actually just inertia unfortunately; few organisations or brands can really cultivate that cult-like following and really distinguish themselves from rivals. 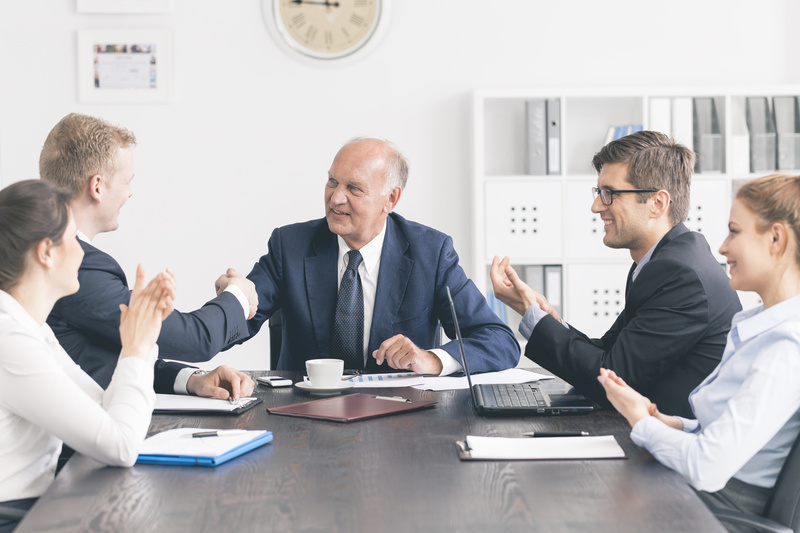 The crowd of people who are disloyal to a brand or organisation is often still a very profitable group to serve but you have to manage those relationships appropriately. The comparison of business and personal relationships is very flawed when it comes to organisations luckily. For example organisations sell product lines or financial books to each other regularly and often re-brand but can mitigate these changes. If a different person came home from work wearing you partners cloths, telling you they were your partner would you just accept this person was still your partner? Some people prefer Tinder, just understand it’s for a good time and not a long time.